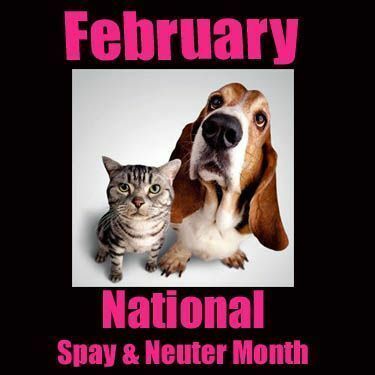 February is National Spay and Neuter Awareness Month. If you haven't had your cat or dog altered yet, it's a great time to check out programs in and around Shingletown and Shasta County. Programs and vouchers are also available at some places for feral cats. February is a key month in the breeding cycles of many cats and dogs. Most cats and dogs come into their first heat in February and can become pregnant.This is why it is important to take action and get your pets spayed or neutered before they have an unwanted litter of puppies or kittens to care for. The following is a list of places to call and ask what low cost programs, coupons or vouchers are available to help you get your cats and dogs altered . Note: S.A.F.E. in the Northstate EXCLUDES Shingletown, Viola, Manton, Igo/Ono, and the areas from Oak Run east, and the Intermountain area.